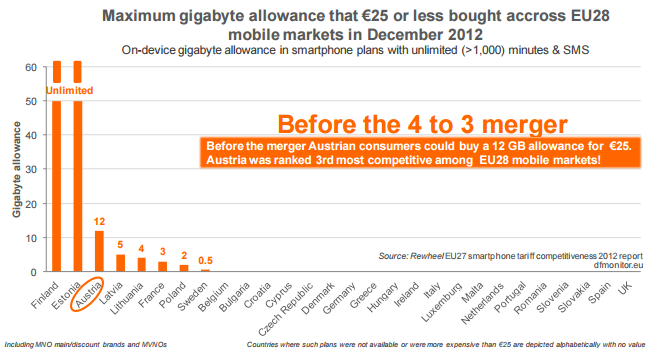 Moreover, before the merger in December 2012 Austria was ranked as the 3rd most competitive mobile market among EU28. 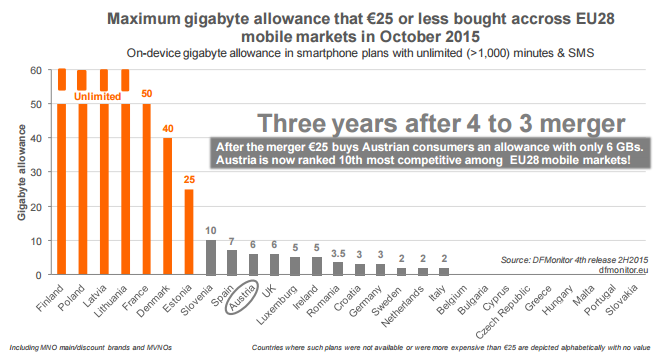 €25 bought Austrian consumers 12 gigabyte allowance and more than 1,000 minutes & SMS. Only Finns and Estonians got more value (unlimited GBs, minutes & SMS) by spending €25. Three years after the merger approval , in October 2015 Austria has fallen behind in competitiveness and is now ranked 10th among EU28 in this metric.